When the Book of Hebrews was penned, the ages were colliding and society seemed to be shaking. 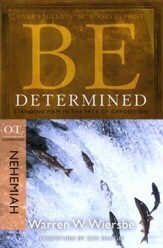 Hebrews was written to Christians who were wondering what was going on and what they could do about it. As the stability of the old was passing away, their faith was wavering. 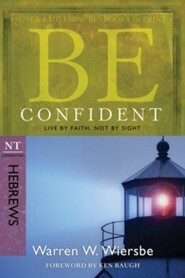 Wiersbe says the one major message of Hebrews is Be Confident! God is shaking things so you might learn to live by faith and not by sight. 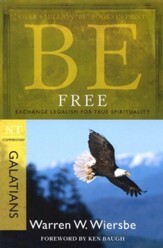 He wants to build your life on the permanence of the eternal, not on the instability of the temporal. 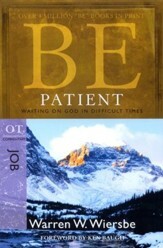 Questions for personal reflection and group discussion are included at the end of each chapter. 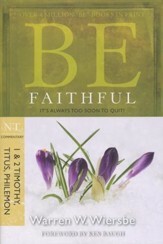 Hebrewswritten by Christians, to Christians, and for Christiansis loaded with spiritual truth accessible to any believer looking to grasp the importance of faith. Penned at a politically unstable time, Hebrews targets believers tempted to abandon their faith and slip back into the rules and regulations of Judaism. In our politically unstable day of "wars and rumors of wars" (Mark13:7), we can all understand the quest for stability. But there is only one source of rock solid security. There was a time for rules and sacrifices. Then Christ came as the perfect, spotless Lamb to atone for sin once and for all. Respected pastor Dr. Warren W. Wiersbe will show you that by focusing on the reality of the unseen first, an overwhelming desire for intimate friendship with God will follow. 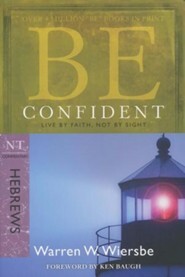 I'm the author/artist and I want to review Be Confident (Hebrews), Repackaged.